Vancouver, BC’s modern anthemic thrash outfit Titans Eve was formed in 2008 by brothers Brian (vocals/guitar) and Kyle Gamblin (guitar) with drummer Casey Ory and Jesse Hord on bass. From day one, the band has written the tunes they want to hear and taken charge of their musical ambitions on their own terms. The early days saw the four piece defining their sound and creating fans in their home city. 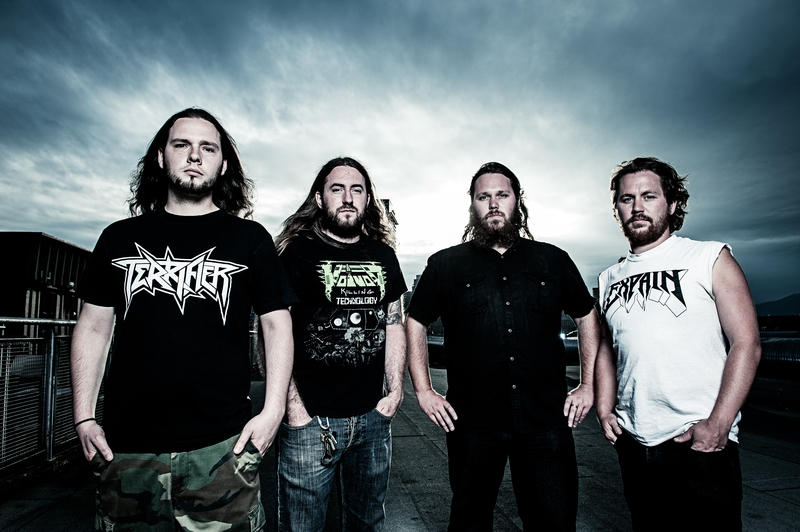 2009/2010 featured their emergence on the Canadian metal scene and the beginning of a strong fan base. They embarked on their first Western Canadian tour and gave Canadians a real live taste of their sound. While gaining support and honing their music they ventured into a local studio with the talented Curt Wells to record their first album ‘The Divine Equal’ that was mixed and mastered by Sacha Laskow of Calgary tech-metal band Divinity. With their debut’s upcoming release, Titans Eve hit the road for their first cross Canadian tour, exposing their unique brand of thrash metal to even more fans. Upon their return, the band worked on the 2011 release of ‘The Divine Equal’, which was supported by a two month self booked tour of North America, giving them a taste of crazed metal fans all over the United States. Following the North American tour, Titans Eve’s 2012 started with a bang with their first arena show and fulfilling a dream of playing with nu-metal icons Korn. Fresh off the success from their debut, Titans Eve began creating their follow up, ‘Life Apocalypse’. Following the release of ‘Life Apocalypse’ that summer, Titans Eve took the “Titan Train” (i.e. their 2007 Ford E-350 van) and travelled across Western Canada, bringing their music to as great an audience as possible, supporting Canadian metal heavyweights Anvil followed by a tour with super-group Kill Devil Hill featuring bassist Rex Brown of Pantera and drummer Vinny Appice of Black Sabbath and Dio fame. After these incredible tours, their biggest venture yet came into focus with an invite to be a support act on the 2012 Arch Enemy European Khaos tour. This saw their first tour in Europe, playing to the receptive and enthusiastic European metal crowds. After their first European tour, 2013/14 saw the band still in promotion mode for ‘Life Apocalypse and venturing across Western Canada, playing music festivals and opening for the likes of Diamond Head, Raven and Soulfly plus in between writing and recording their third album ‘Chasing The Devil’ at Vancouver’s legendary Warehouse studio with renowned producer /engineer Eric Mosher along with it being mastered by Canadian metal hero Jeff Waters of Annihilator. 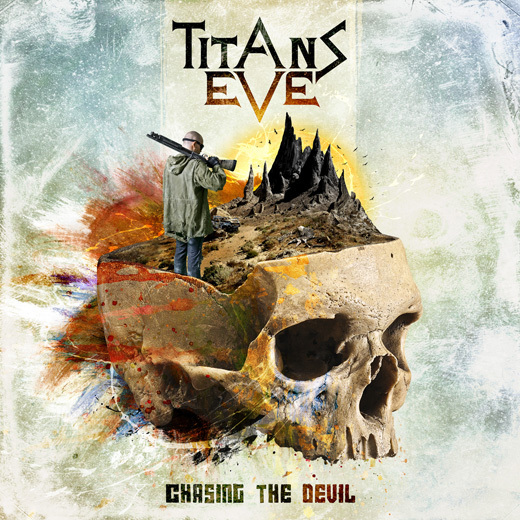 2015 is here and Titans Eve is proud to unleash their third full length on June 12, 2015 to their fans and the metal world once again along with them hitting the road once again to support the release. “Returning with their incredible, gap-spanning take on moderately melodic and primeval metal, Vancouver, BC ragers Titans Eve deliver some creative, impressively cohesive work on latest full-length The Divine Equal” – Exclaim!